$375. 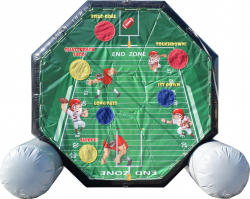 Giant Football Velcro Throw. Score a touchdown at your next sports themed event, team party or football get together. Spice up your Friday night football game and get the fans involved.